Gerry and I love to travel. Whenever we can, you will find us in our RV traveling from one place to another. It's actual hard for us to stay put here during the winter months, but we don't like to leave our dog Jake in the winter at the kennels, so we usually stay home from October- March. Itching to get out again. This upcoming Fall, we are hoping to start on Snow birding. Gerry is retiring soon and this is what we've been planning on doing for quite some time. Of course, before we can go on Snow birding, we need to make sure that we have planned everything accordingly. Our home should be secure. Our stuff needs to be stored. And we have a budget that we will stick to while on the road. 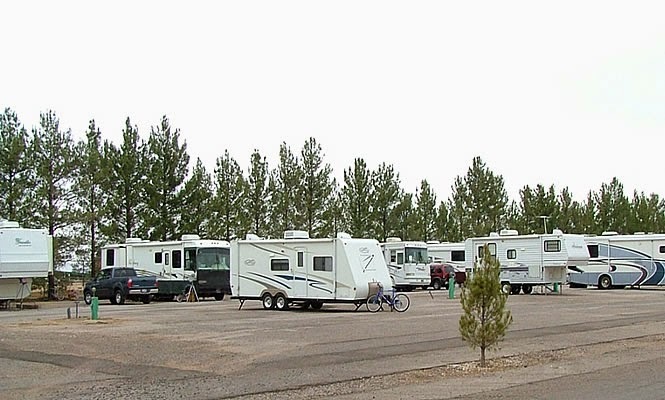 Your RV or 5th Wheel is like your second home though and you want to have it all equipped. 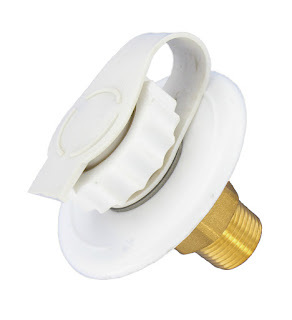 * For use with current drain hose fittings. No need to remove or re-attach drain hose. Will prevent leaks on your roof under the air conditioner. 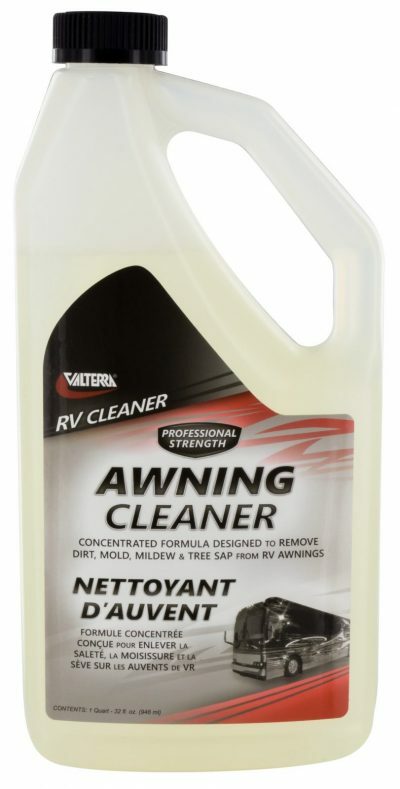 Hands down - RV Digest-It is the most effective waste digester and odor eliminator available. And it costs less than $1 per treatment in most applications! We get it, you want both: Odor and Waste removal - so why settle for only one or the other? If your current treatment doesn't eliminate odors AND digest waste you are functionally pouring money down your drains. Many treatments do a good job of eliminating odors but do nothing for solid-waste digestion. 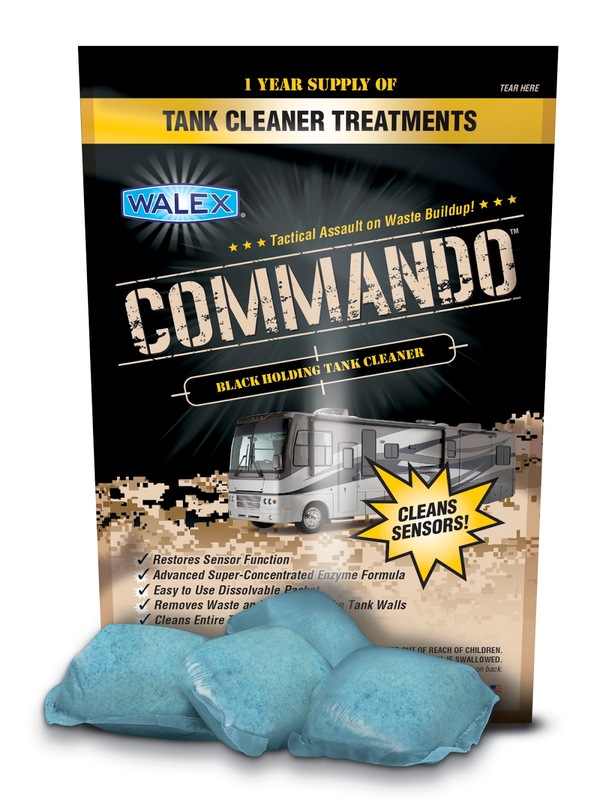 In fact, many odor eliminators will actually damage your RV by coating your lines with mineral deposits that damage your toilet bowl, your seals, and cause your level sensors to constantly read full. Other treatments are good waste digesters but do nothing to eliminate odors. 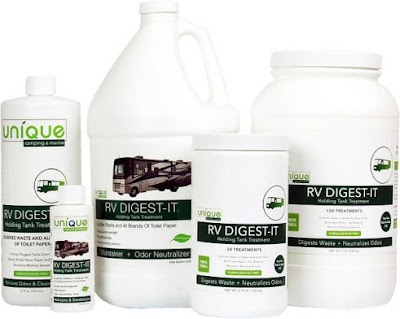 Get Complete Odor and Waste Elimination with RV Digest-It. 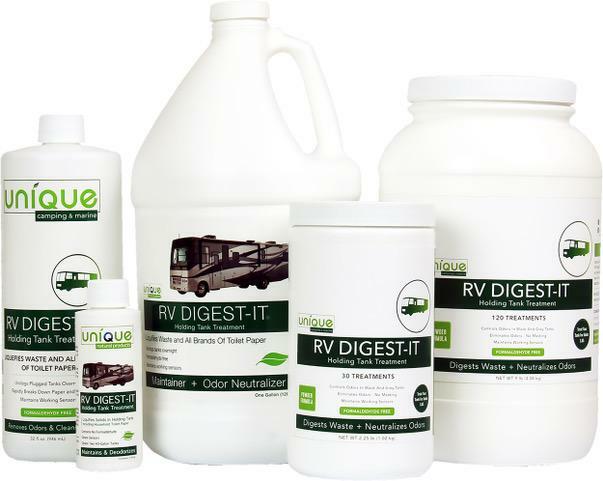 Now you can get both with RV Digest-It: Unbeatable odor control and best-in-class waste digestion. And you can get it all for under $1 per treatment! *** Gerry cant say enough good about this one. He used to noticed the grey tank water always smelled when he dumped but not anymore! 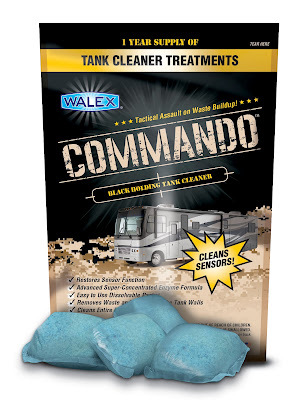 Finally, dry campers and sun-seekers can enjoy their RVs odor and clog free! Often, as the temperature goes up, so do tank odors. 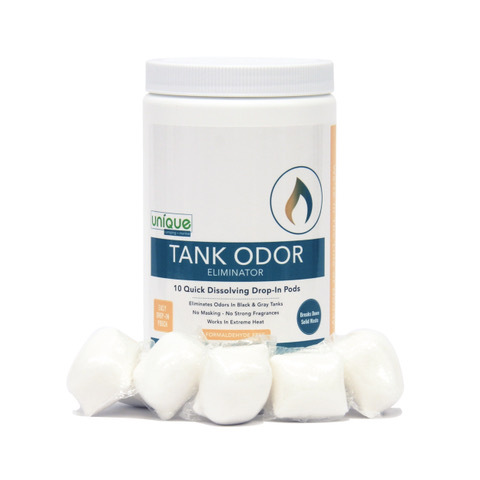 Eliminate tank odors and clogs in the hottest temperatures with Tank Odor Eliminator. Our proprietary blend of fast-acting minerals and non-pathogenic bacteria eliminate odors and digest solid waste in the hottest temperatures without perfumes or fragrances. 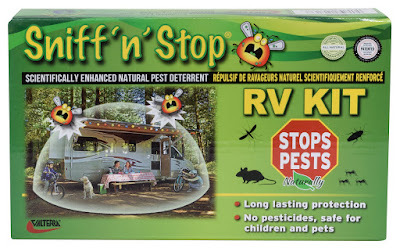 Finally, dry campers and sun-seekers can enjoy their RVs odor and clog free! 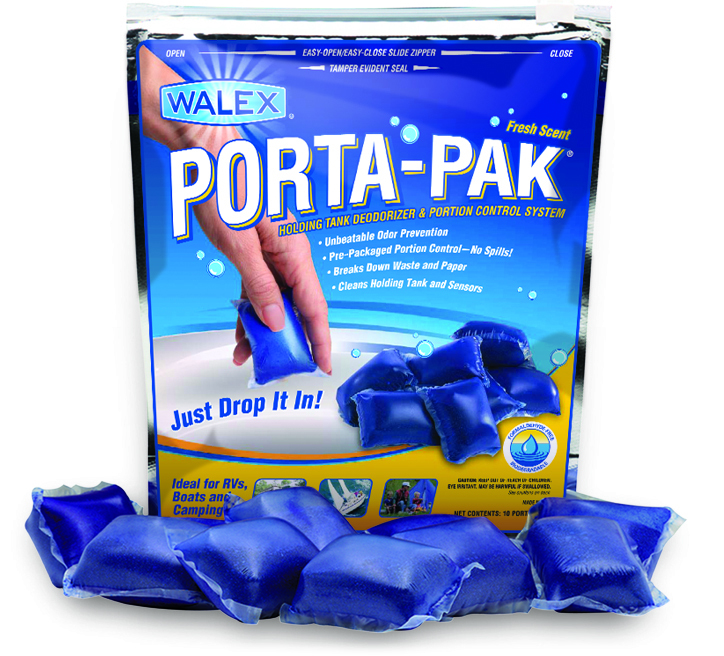 Available in a convenient drop-in pod - no measuring or mixing. 100% satisfaction guaranteed. 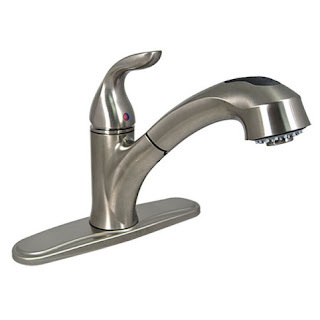 Single Handle Pull Out Hybrid Kitchen Faucet, Hardware for Three Hole or Single Hole Mount Included..available in 4 finishes. Made for your RV, 5th Wheel or camper. Features and specs may be found on the web site. A great way to change some things up in the kitchen. Call Lori @ 1-800-222-6041 for locations on where to buy/order. Products like smoke alarms , carbon monoxide detectors- smart, reliable and easy to use in your RV, 5th wheel or camper. 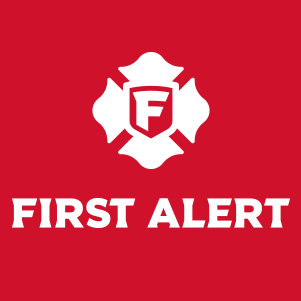 First Alert is more than smoke and fire alarms.They are about what matters most- and that is protecting you and your family! 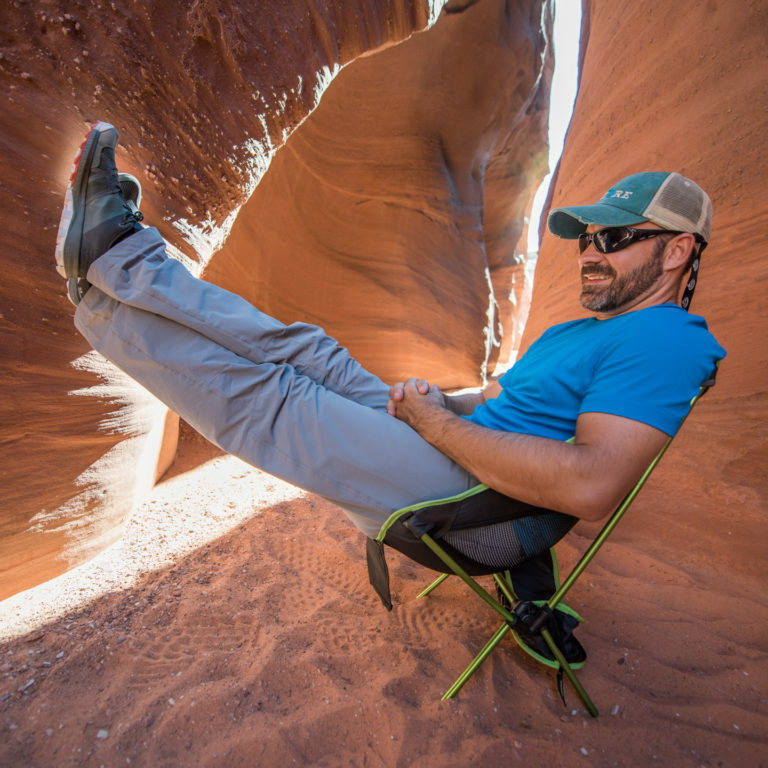 YOUR BODY WILL THANK YOU WHEN YOU RELAX IN THIS CHAIR INSTEAD OF TRYING TO GET COMFORTABLE ON THE GROUND! Less than two pounds and packs up in its carry case smaller than your forearm – why wouldn’t you attach this to your backpack? 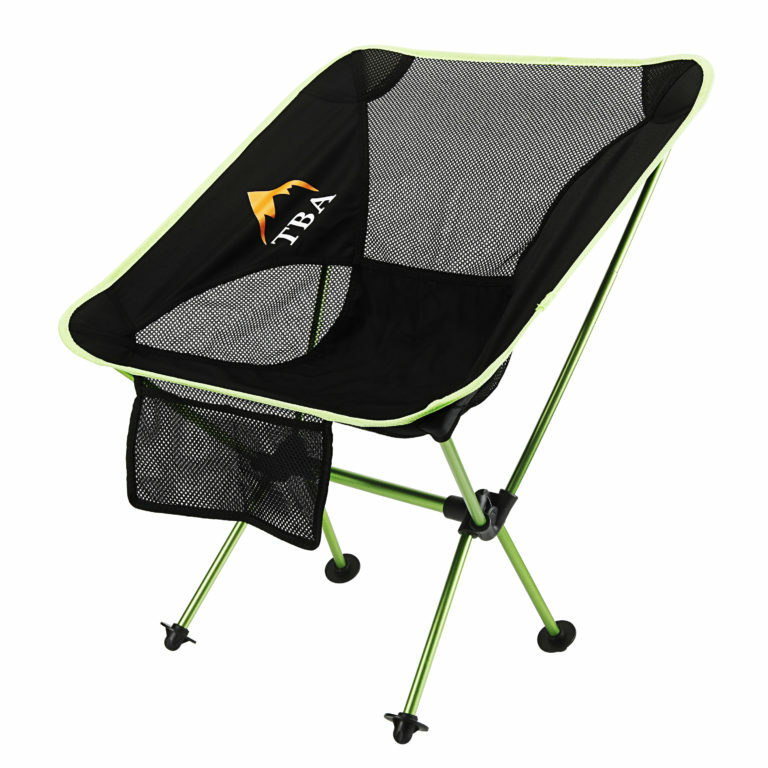 Compact size and ultralight weight makes taking this chair anywhere is a viable, easy and convenient option. SUPER COMFORTABLE AND STABLE. SPECIALLY DESIGNED FEET MEAN YOU WON’T SINK IN SOFT GROUND. Comfortable for kids and big guy tested too – heavy duty strength but super light construction – they can keep up to 300 IBS of hiker comfortable! Easy to install, comes with installation hardware. 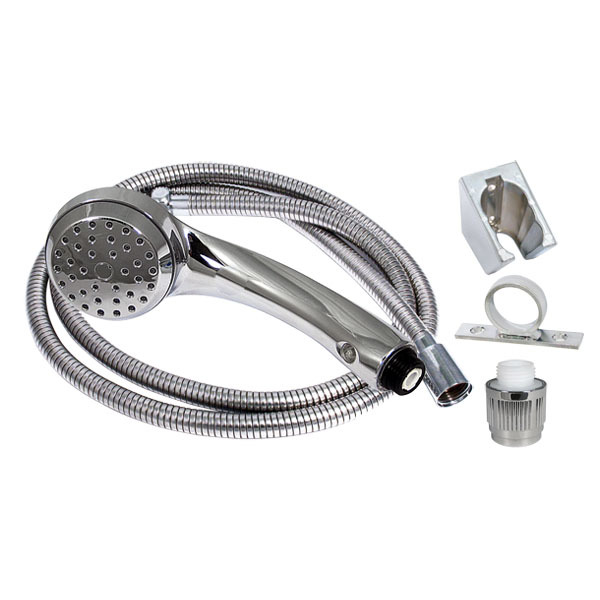 Designed for your black and grey water holding tanks. 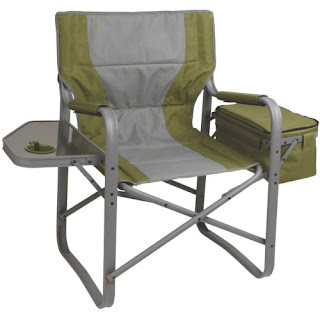 Coleman's top of the line camp chair for maximum comfort and convenience. A must have for every camper! 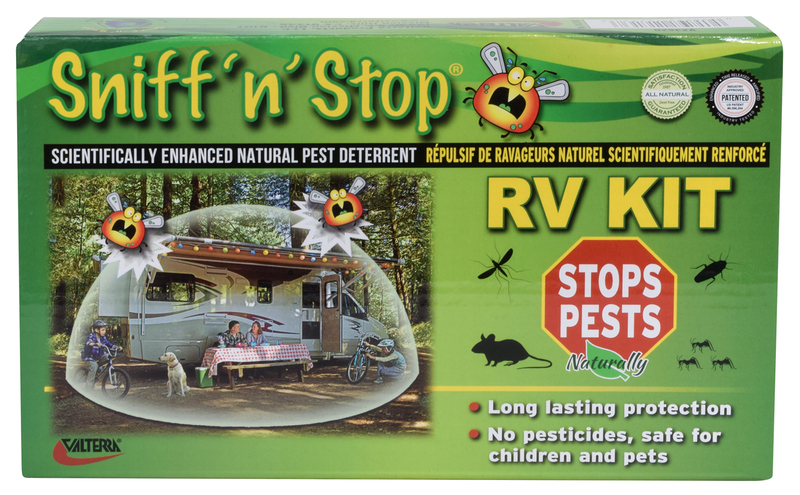 "The perfect RV kit to eliminate insects and rodents - they simply stay away! 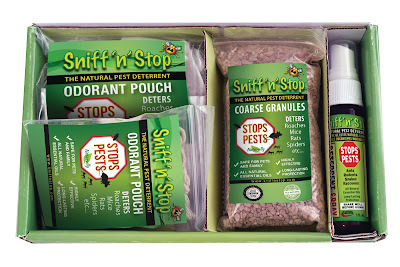 Sniff 'n' Stop's essential oils are not harmful or have dangerous chemicals. This formula provides long lasting protection that saves you time and energy over traditional pest killing baits and sprays. The RV kit includes two different products for specific uses: 1 bag of deterrent granules, 1 large odorant pouch, 6 small odorant pouches and 1 personal protection spray." Offering a complete line of quality RV sewer hoses and fittings to create the most simple, secure hookup! 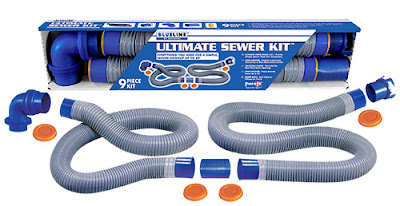 With their popular and simple “push-on” sewer hose connections, you no longer need to trouble with clamping devices, tools, or even threading your RV sewer hose. 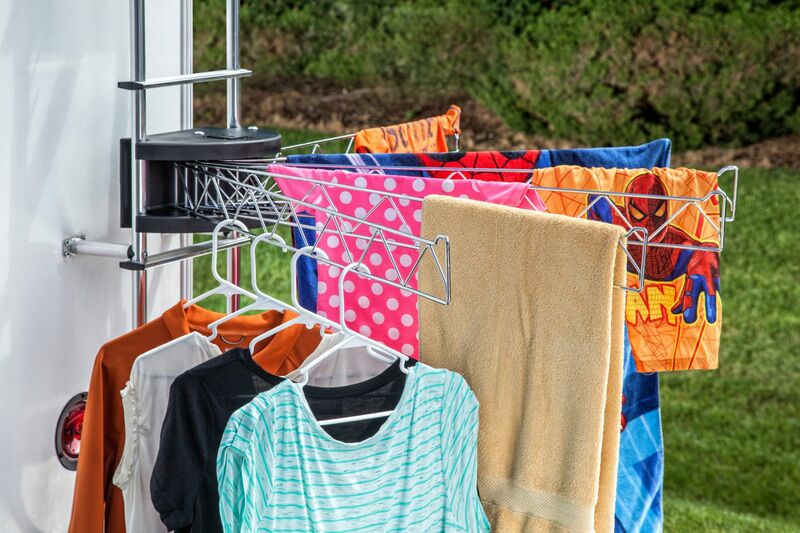 With each Blueline RV Sanitation fitting, you get a leak-free connection every time you hookup. For the most simple, secure connection, nothing is better than Blueline! RV Step Rugs from Prest-O-Fit help to protect the interior of your RV while accenting the exterior. Available in several styles to meet the particular needs of RV users. Their brands include Outrigger, Ruggids and Wraparound Brand RV Step Rugs. Each step rug is made of durable, weather-resistant materials that resist sun-damage and fading. 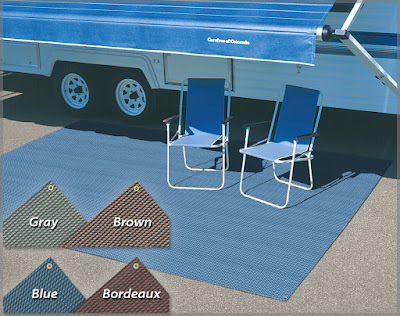 All of their RV Step Rugs are easy to install, fitting most manual and electric steps and available in an assortment of popular sizes and colors to coordinate with almost any RV. 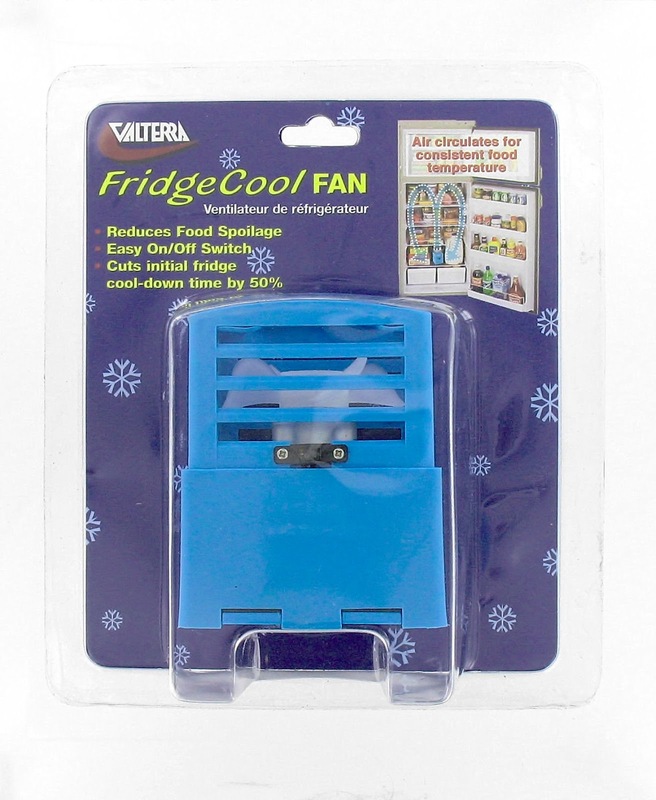 By fanning the cold air that falls to the refrigerator floor, FRIDGECOOL helps your refrigerator run more efficiently. Cool down time is cut in half. Food spoilage caused by bottom freezing and top warming is eliminated. 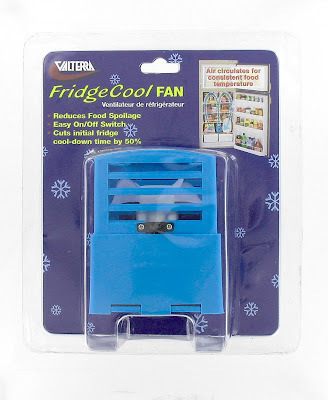 · Works great in the top of your ice chest too! The circulating air over the ice drops the cooler temperature up to 25%. high pressure spray that feels like home. * 20%-30% less water than conventional shower heads. three position bracket, hose guide ring and flow controller for trickle shut off. Ultra Guard is full width, solid protection for towed vehicles. Made of 3/8" molded reinforced rubber the one piece design is extremely durable and attractive. It protects towed vehicle from damage from flying road debris. 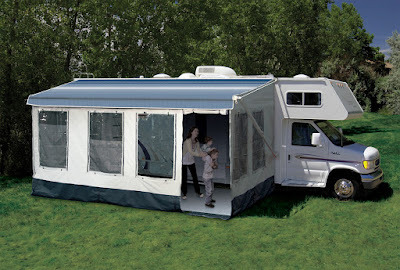 The motor home models mount to the bumper or frame of the coach. The truck model attaches to most 2" receiver hitches and is easily removable. The Add-A-Drawer is the perfect answer for finding that extra space in your motorcoach. It mounts under tables or cupboards and has a double rail design that accomodates both flat or lipped table styles. The drawer is 8"x17"x2" and has self-locking sliding channels. 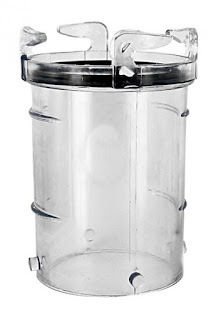 It's a great addition to your table for storing many items. 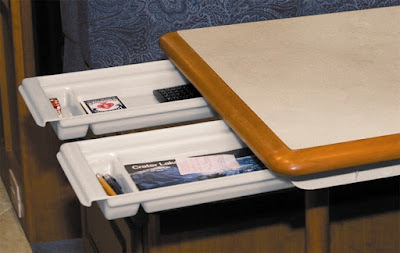 Very useful if you also use your kitchen table as your "office desk" while on the road, and great for pens, paper, tacks, paper clips, tape, scissors and more! This flashlight/spotlight/lantern belongs in your emergency kit. It's also great fun providing a safe lantern in your tent or anywhere. Leave it on as a night light--it lasts and lasts. Take it on hikes and when you go boating and fishing. 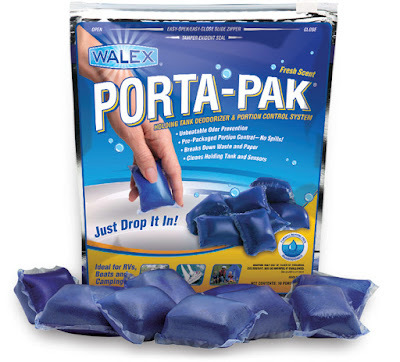 Not only is it waterproof, it turns on when it hits the water! Part of traveling means stocking up on delicious, convenient, portable foods packed with protein to keep your energy level going. Check out StarKist’s new flavored tuna pouches which are healthy and easy to eat right out of the pouch with no mixing or draining required. These pouches are low in calories, high in protein and a great source of Omega-3 fatty acids. If you love wild caught salmon, StarKist has you covered with their new Salmon Creations pouch featuring both Lemon Dill and Mango Chipotle flavors. Hot sauce lovers, now is your time to rejoice because StarKist has released a new Hot Buffalo Style Tuna Creations pouch seasoned with hot and spicy buffalo sauce, making it easy to satisfy your spicy cravings. In addition StarKist has also released Kid’s Creations pouches to encourage kids to eat more fish and look forward to meal time. These pouches come in delicious flavors including Bacon Ranch and Honey BBQ that contain plenty of DHA Omega-3 fatty acids to support brain development. The Strongest, most durable Mat Available! Dirt and Water just filters right through! Carefree’s Dura-Mats are the most rugged and beautiful mats on the market today. Colored vinyl strands and reinforcement fibers are loomed into a woven fabric then compacted and bonded for exceptional strength and durability. They are hemmed all around and the design allows for dirt and water to filter right through the mat. 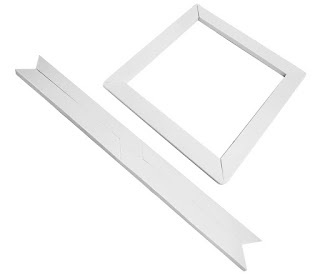 They also come with reinforced brass grommets for staking the mat to the ground and after use they go into their very own storage bag so they are easy to transport and store. Available in 4 color options; Gray, Brown, Blue or Bordeaux. All mats are 8’ deep in widths of 8’, 10’, 12’, 14’, 16’, 18’, and 20’. Lightweight, convenient and easy to setup. Nearly doubles your living space! Just attach it to your awning and you are done! Setting up the Buena Vista is quick and easy. 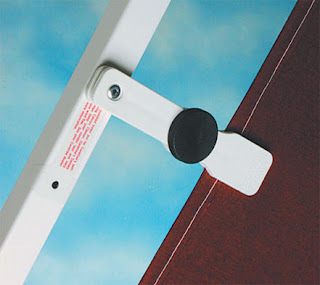 The door can be mounted on the left or right side along with the easy to use wall seal, stakes and a one-piece skirt. Clear weather-view zippered panels on the outside keep rain out, and the zippered panels on the inside offer privacy. For odd-sized rooms, there is an extension panel to ensure a tight fit. Ideal for picnics and relaxation outside without worrying about the elements. When you are ready to hit the road again, it goes back into an easy to use storage bag. It fits all brand of traditional and 12V Awnings with vertical arms in 10’-21’ and also fits Carefree’s Campout and Freedom Awnings from 3-5 meters. These durable clamps mount to your Carefree, A&E or Faulkner patio awning rafter arm and easily fold out when needed. Soft rubber protects your canopy from flapping in the breeze and ensures the canopy is taut when the awning is fully extended. 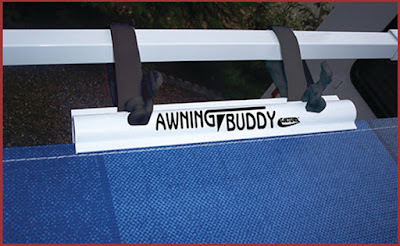 Since they are permanently mounted to your awning there is never a chance of misplacing them and they fold into the arm so they can remain attached when the awning is open or closed. The installation process is very easy and they are available in Black and White color options. Please note, these clamps will not work on curved arm applications. 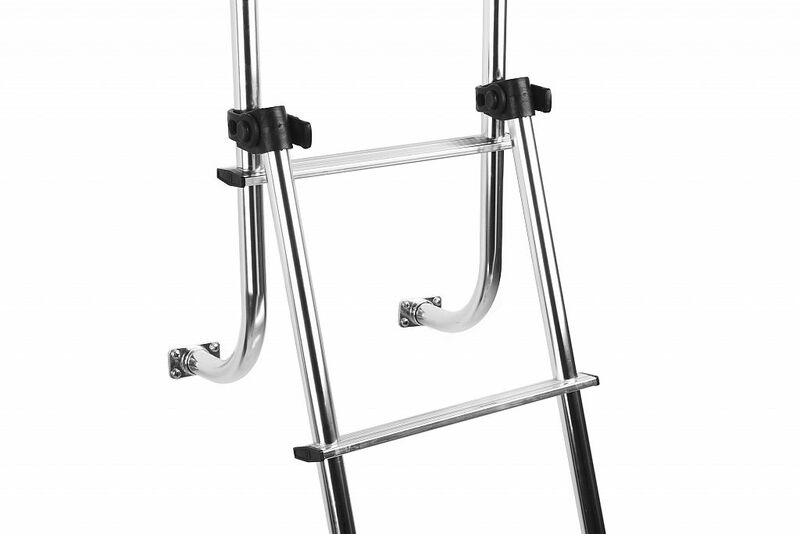 Get a leg up on climbing your coach's ladder to access your roof top maintenance with our 48" ladder. The hardware secures our starter ladder to your coach's exterior ladder so it cannot get knocked off. 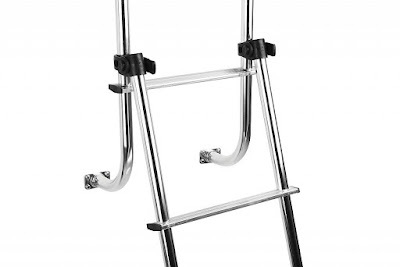 This ladder will support up to 300 lbs at a 12° angle. The Extend-A-Line is designed to be mounted to 1” or 1 ½” exterior ladders with 9 5/8” - 10 1/8” spacing between upright tubing. With a full line of windshield wiper blades, refills and arms, TRICO has the wiper products for virtually all of your Recreational Vehicle (RV) needs. TRICO® blades and refills feature durable metal construction and a heavy duty natural rubber wiping element for quality performance under demanding conditions. Class C RVs are typically built on a van chassis and require conventional automotive blades like TRICO Exact Fit® blades. 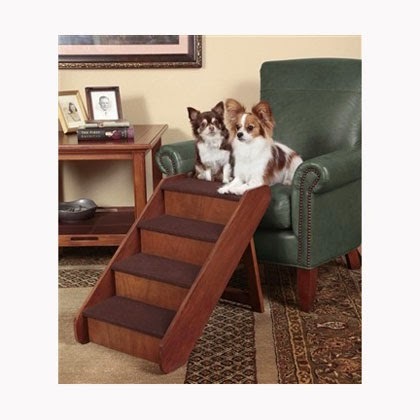 Solvit PupSTEP Wood Pet Stairs provides a safe and stylish way for pets to ascend and descend. The solid wood construction folds flat for easy storage and transport. The stairs require no assembly and can be placed against beds, chairs, sofa, tables or any desired area. The pet steps are perfect for small pets, aging pets and pets with joint issues. Perfect for the RV and 5th wheel for our furry friends! The Starter Kits are a great introduction for people who have just started getting into solar—a combination of being great on budget, and easy to get set up and running without too much effort. 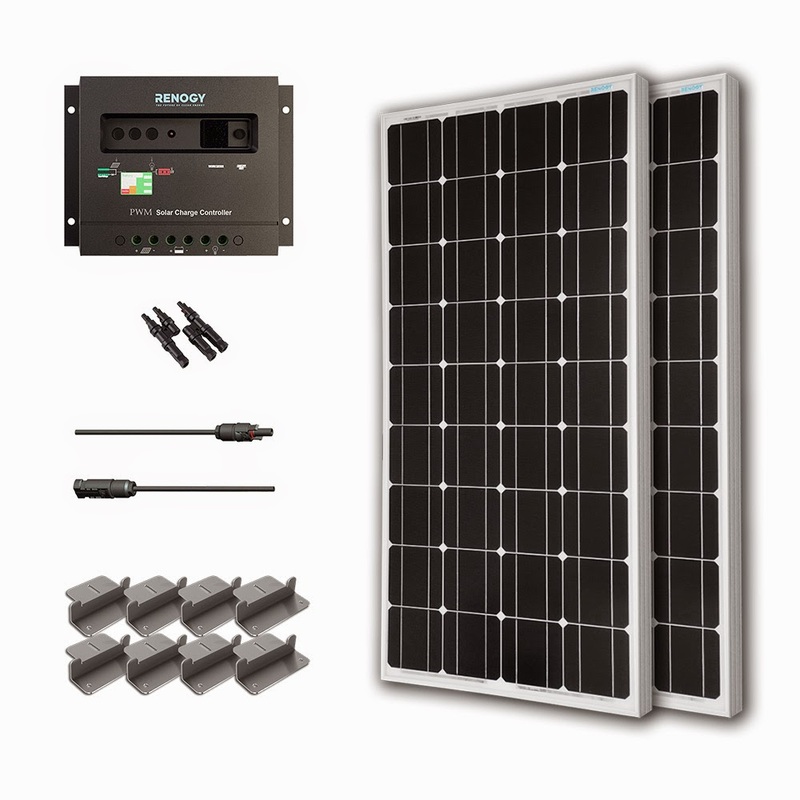 The Starter Kit provides the convenience of having the essential components of a solar system in one kit and because the items are bundled together, you save more than if you were to buy the items separately. Of course, as with having any solar system, the ability to have renewable energy on hand while off-grid is more than a little helpful, even if just to help provide lighting or charging your devices. With our Starter Kit, all the items included are under warranty: the accessories for a year and the panels for twenty-five years. Orion Safety Products introduces its new non-lethal sight and sound Bear Deterrent. The product produces a loud “gunshot” sound, a bright dynamic flash and smoke, and it is designed to scare bears away before they are close enough to be in attack mode. Field tests in Alaska have demonstrated Orion Bear Deterrent can be effective at 300 feet. Though lethal bear attacks are rare, there has been an increase in bear attacks and maulings as more people live in or visit bear habitats according to a 2014 article in National Geographic. The report also suggests that people who live in or visit areas where bear and other large animals live, can educate themselves and take precautions to reduce risk of an attack. Bear deterrent products are recommended for hunters, campers, hikers or anyone living in rural areas frequented by bears. Orion Bear Deterrent offers additional advantages over currently available alternatives. It is non-lethal and a safe alternative to weapons, traps and poisons. 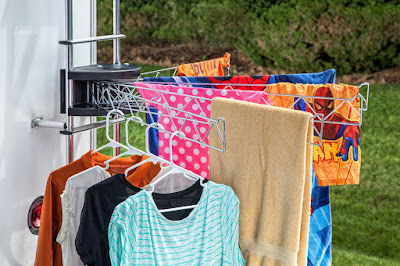 While bear sprays may not work in wind, rain or other weather conditions, Orion Bear Deterrent works in all weather conditions with no risk of fire. It is lightweight (launcher and 4 shells weigh only 6 ounces), waterproof, and compact – a holster is available, so you may quickly access it when needed. 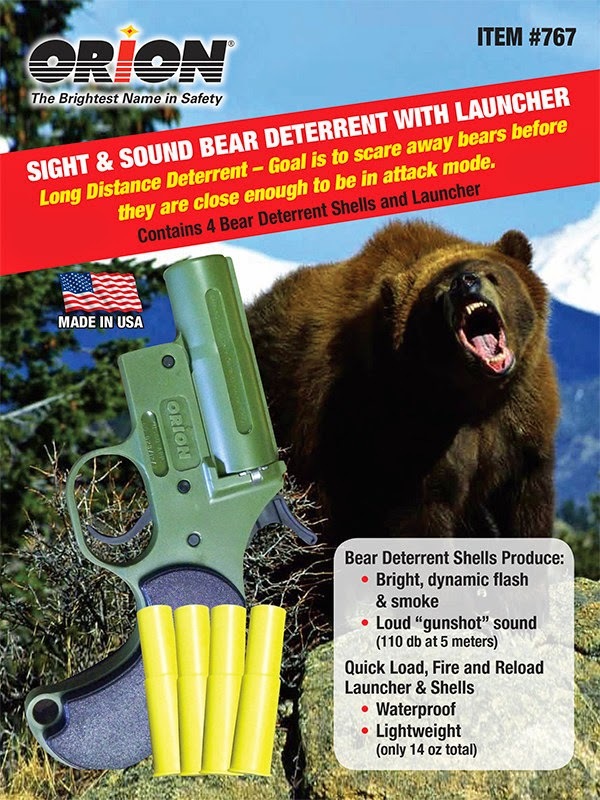 Orion Bear Deterrent produces a loud “gunshot” sound, over 120db and is louder than most audio bear deterrents, and it produces a bright, dynamic flash (over 11,000 candela) and smoke. This multi-sensory device gives the user a better chance of deterring a bear than a product that only produces a sound, visual alert, or chemical deterrent. The product is also less expensive than most bear deterent sprays. Orion Bear Deterrent is ideal for use when hunting, fishing, hiking, or camping in remote areas. It is also great for people who live in wilderness areas and other areas where bears may dwell. Orion Bear Deterrent may also be used to ward off other large animals including dogs. It can also be used as an emergency signal allowing rescuers to hone in on your location if you are lost or injured. The product comes with a launcher “gun” and four Orion Bear Deterrent shells. Replacement shells, launcher holsters, shell holders and other accessories are available separately. Orion Safety Products, Easton, MD, is the nation’s largest manufacturer of highway and U.S. Coast Guard Approved signals. They have manufacturing facilities in Easton, MD, Peru, IN and Bristol, PA. For more information, visit www.orionsignals.com. Orion Bear Deterrent is available at Bass Pro Shops, Cabela’s, Gander Mountain and other outdoor, camping and hunting equipment retailers or call 1-800-637-7807. In Canada the best way to find this product is by contacting the Orion Customer service department at mcustomersevice@orionsignals.com. 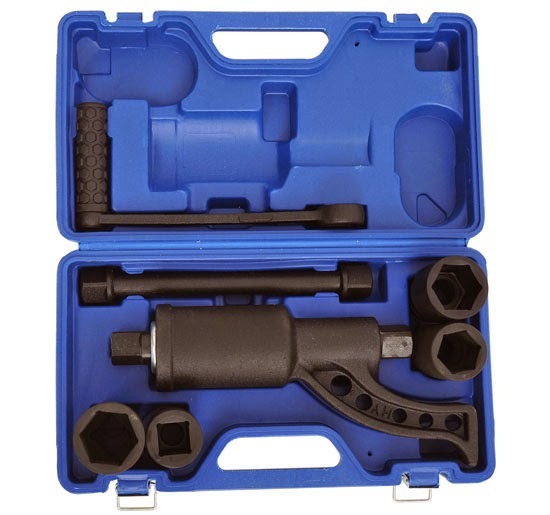 This Homcom Torque Multiplier Wrench Set uses gear reduction to help you loosen and remove lug nuts by hand. It is compatible with nearly every heavy duty vehicle, including semi-trucks, RVs, tractors, buses and more. It is capable of generating up to 4800 lbs of torque, allowing you to remove lug nuts without the use of power tools. A perfect companion for emergencies on RV road trips or just for completing some DIY maintenance. *** Gerry has one of these- tried it out on our RV and with minimal effort, was able to remove all wheel nuts. Highly recommended! "Once you've broken a tough lug nut loose with your torque multiplier, you don't want to keep using that tool to fully remove the nut. It takes 58 revolutions of the input shaft to turn the output shaft just once. And removing the nuts by hands can be a bother and take time as well. 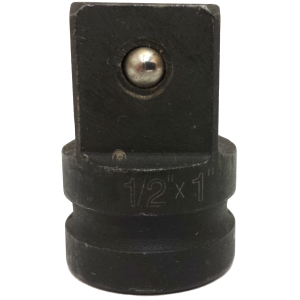 If you use a 1" male to 1/2" female socket adapter, you can keep your socket on the lug nut and attach that adapter to a 1/2" impact gun. Then you can use the impact gun to very quickly run off the lug nuts. Break each one loose first, then take them off in no time with this adapter." Staying connected is essential for all people, but even more so for those on the go. The Drive 4G-M allows people to have a strong reliable signal even where it is extremely weak. The Drive 4G-M is simple to install and works with all U.S. carriers. Simply install it in the RV, run the antenna to the roof and it immediately starts boosting signal with the RV. The Drive 4G-M gives you faster download speeds and improves battery life. It’s a must for anyone traveling long distances in an RV. The Honeywell HeatBud Ceramic Personal Heater is a portable, energy efficient solution that provides just the right amount of heat for you. This unit is perfect for all personal spaces and can be implemented in home, at school or in the office. Designed with ceramic technology that provides fast, even heating, it is energy efficient and uses only 250 watts. Offered in four fun colors, it has a modern, compact design that fits anywhere. Use on and/or underneath desks, tables and work spaces. With one button manual controls, it is simple to use. It's a great way to keep your space cozy and warm. 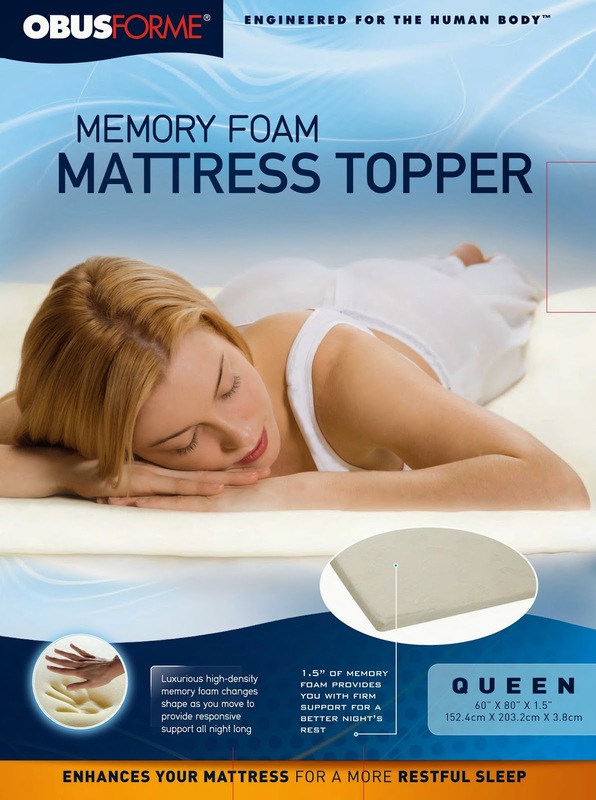 · This memory foam mattress topper conforms to your body shape to enhance your sleep. · No need to worry about mattress creaks or squeaks as memory foam changes shape when you move providing support throughout the night. · It reduces pressure points at your shoulders, hips and legs, and also improves your blood circulation causing relaxation. · This mattress topper will provide added comfort to an existing mattress without having to spend the price of a new mattress. · It is a quick and affordable solution for a better night’s rest. The plush velour cover is also machine washable for ease of use and can also be spot cleaned for your convenience. RVers with fifth wheels know just how valuable every inch of storage space is. 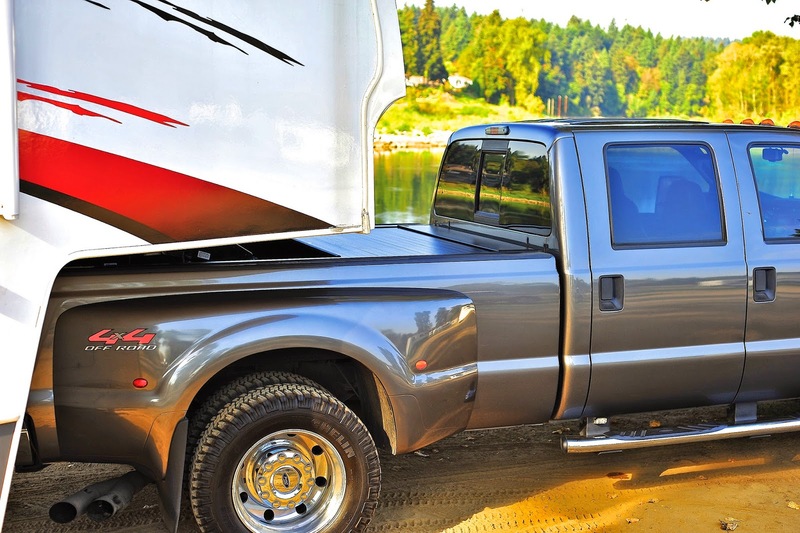 That’s why the motorized Bedlocker Electric pickup bed cover from Pace Edwards is a must have. It’s built to accommodate your fifth when traveling, and is incredibly easy to use – open and close it with a keychain fob. Park your trailer, then close the Bedlocker Electric to add extra, secure storage capacity. The cover can be opened to any position on the pickup, and when not in use, this hard tonneau conveniently retracts into a canister at the front of the truck bed. 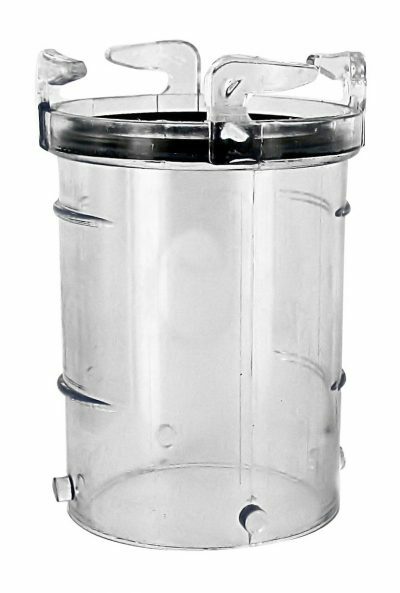 Since 1997, Lock& Lock has revolutionized food storage containers which always seem to have one recurring problem: leaking. With its 4-locking mechanism and a resilient silicone seal, food is kept fresh longer without having to worry about leakage. Containers are offered in two types of plastic: the original version in polypropylene and a transparent version, the Krystal line (no BPA). To its plastic collection, Lock & Lock has added the Glass Lock & Lock and the Ceramic Lock & Lock product lines. 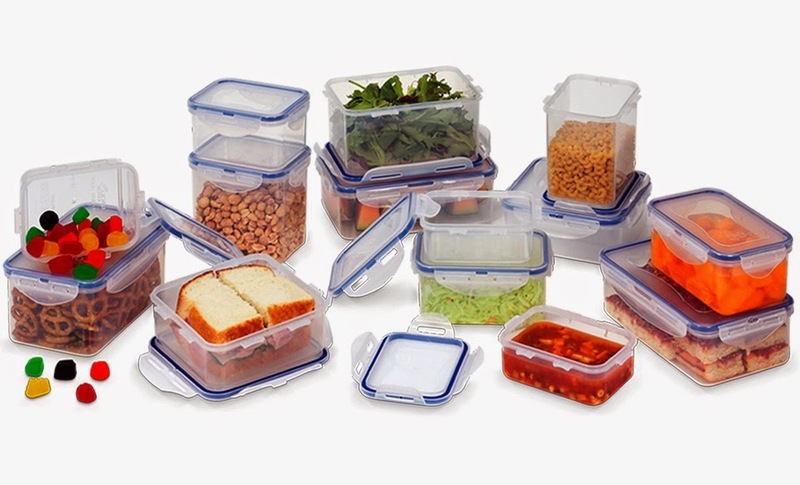 All great practical solutions for bringing your lunch, storing your leftovers, storing dry food, organizing your kitchen pantry, cooking meals (Glass) and so much more. Lock & Lock Classic containers, the original 100% air and liquid tight containers, are essential when it comes to storing and re-heating your food. Each freezer and dishwasher safe piece (container and lid) is also microwave reheatable. They are the perfect practical solution for bringing your lunch, storing your leftovers, storing dry food and so much more. 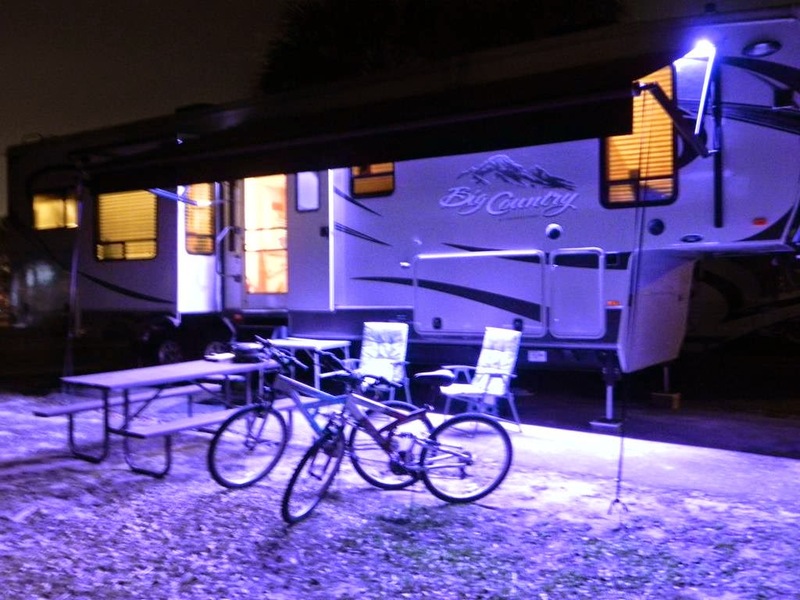 This LED lighting solution from InnoTechRV.com provides both decorative multi-color and white outdoor lighting for your RV awning area. 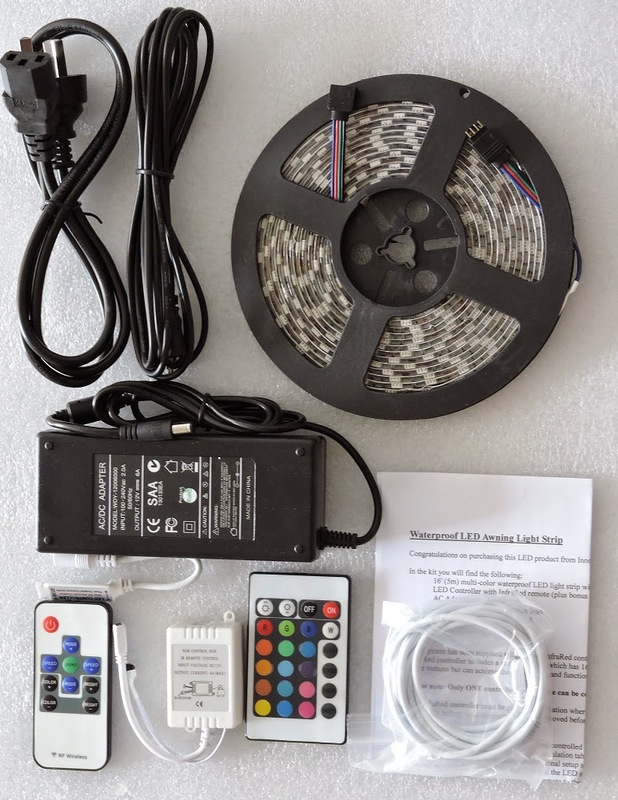 The waterproof RGB LED light strip kit comes with everything needed to install the LED lighting system using either 12VDC or 110VAC power. The 16' LED strip is backed by strong 3M tape to enable it to stick to any clean surface and can be cut to length. Two options for wireless remote control are provided, RF and infrared. The RF wireless remote is capable of controlling the strip through walls and without direct line of sight to the controller. The remote controls can select from up to 16 different colors including white and you can control the brightness by dimming the light output. 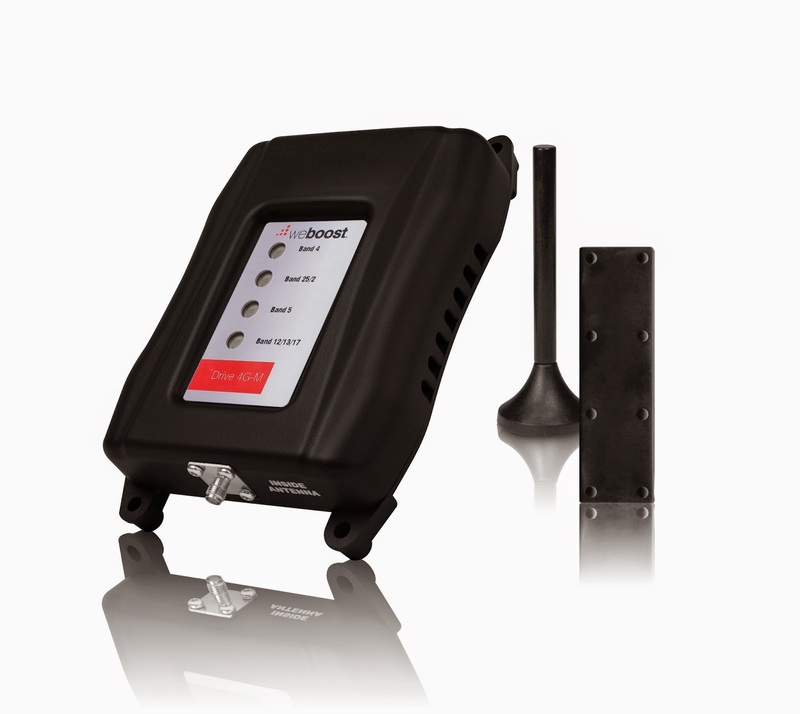 InnoTechRV.com supplies a range of innovative electronics products for your RV including Tire Pressure Monitoring, Holding Tank Level Monitoring and Centralized Tire Inflation/Deflation Systems. 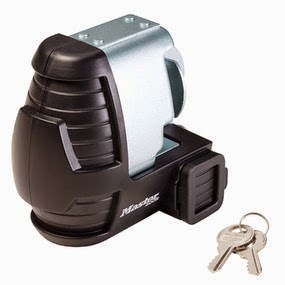 We'll need this locking device for our tow dolly- as we wouldnt be without taking our SUV as a second vehicle. We've traveled before with just the RV and you really need the second vehicle to get to those smaller spots where an RV just wont go. The Master Lock No. 379DAT features a universal trailer coupler lock, designed to fit 1-7/8in (48mm), 2in (51mm) and most 2-5/16in (59mm) couplers. 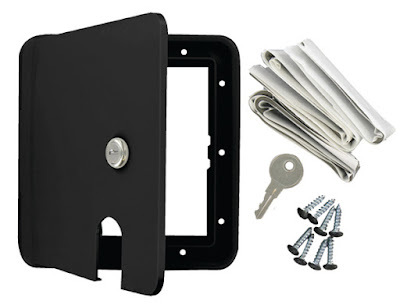 The advanced locking mechanism provides resistance to picking and prying. Resists rust and corrosion! And the Limited Lifetime Warranty provides peace of mind from a brand you can trust. The probiotic microorganisms in TankTechsRx eliminate odor so that perfumes and deodorants aren’t necessary. This is the only product on the market specifically designed to address the struvite* problem, and keep sensors working for years. It digests waste to liquid, not sludge, is 100% safe for the environment and people.This is the ONLY tank treatment developed by experts who actually clean holding tanks and restore sensors to proper reading. Field experience convinced us that NONE of the other treatments controlled the odor or liquefied the waste as thoroughly as claimed. 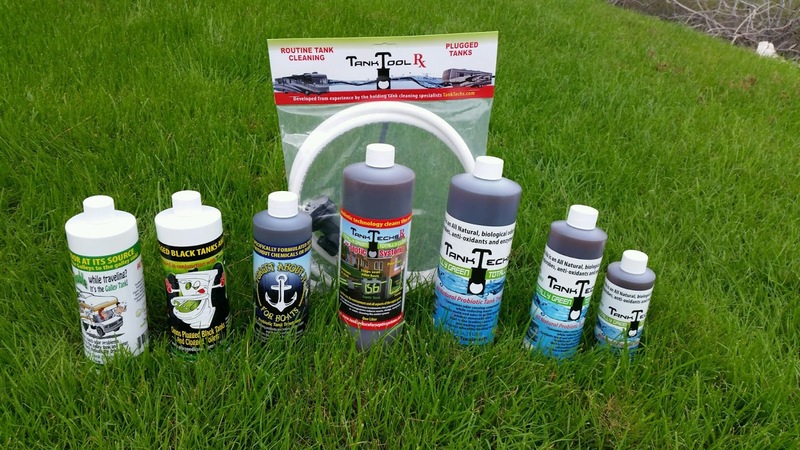 TankTechs Rx uses the latest probiotic technology to produce an effective, healthy, environmentally friendly tank treatment.